Forms System Setup - IMPORTANT! 1. From the Contacts tab, locate the desired contact. 2. Click the + adjacent to the contact name to expand it. 3. Click the + next to Click for Assignments (highlighted in yellow below). 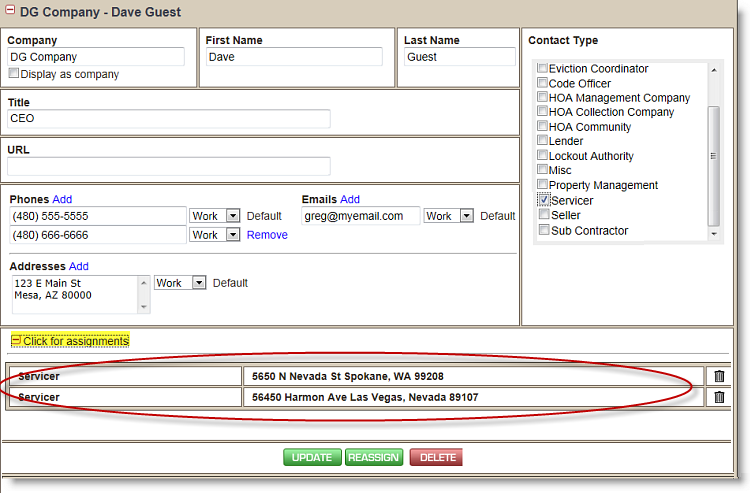 All assigments will show in list form, as shown beloow, circled in red.